Valentine's Day Contest 2015! - Super Inky! Hi everyone, it's me, Inky! February is the month of one of my favorite holidays. Can you guess? It's Valentine's Day! Since some of my friends live in other countries, I made my valentines early so that they had time to get to their destinations. I spread out all the things I needed on my table. I was using an idea from Pinterest for the actual cards, so there were lots of steps to making the cards. I also had lots of yummy treats! 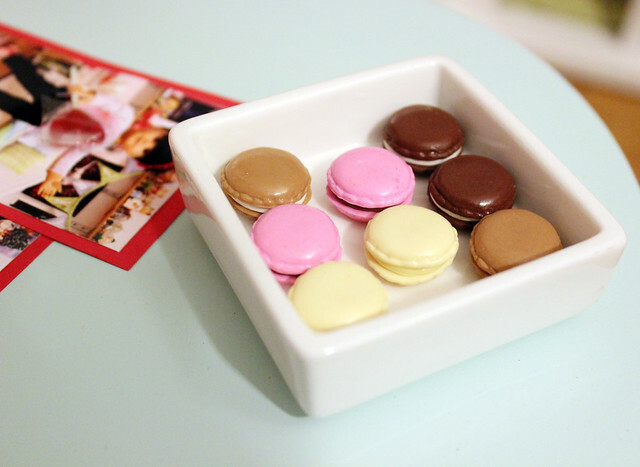 I had these delicious macarons from Pippaloo to sample while I worked. They're so delicious! 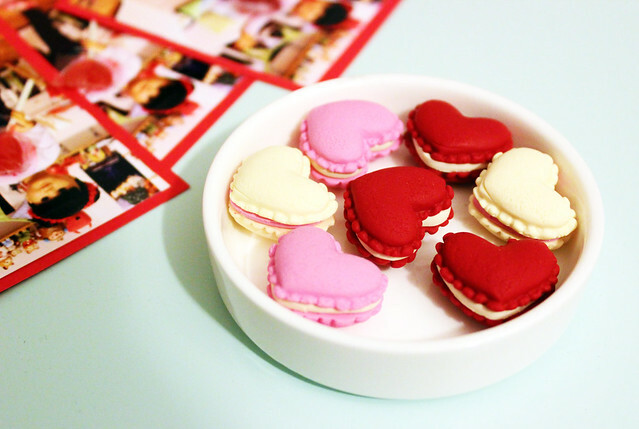 Have you ever had a macaron? They're very trendy, but for good reason; they're delicious! I also had these yummy heart-shaped whoopie pies! Yum! They come in three colors with three different fillings and they're also from Pippaloo. 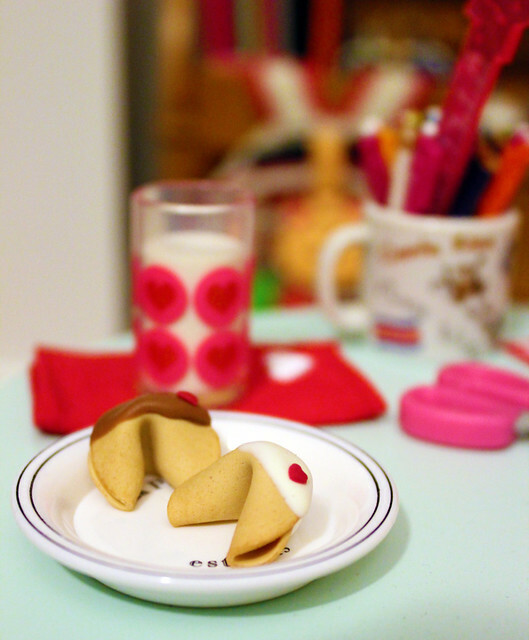 Finally, I had some yummy chocolate-dipped fortune cookies from Ann's AG Miniatures and a glass of milk. 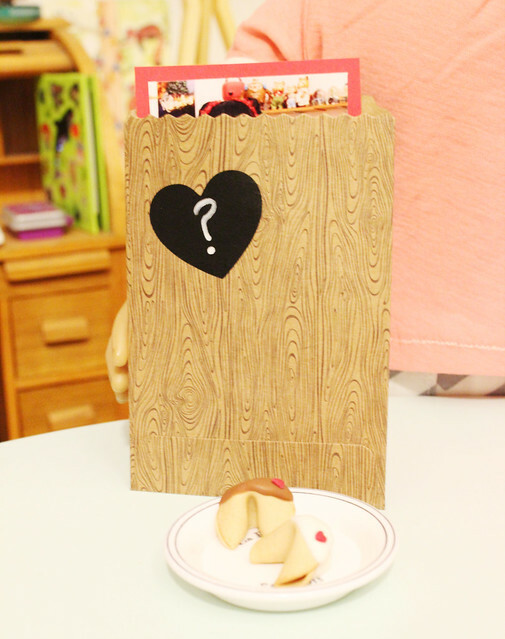 The fortune cookies are super cute; they have little hearts on them! 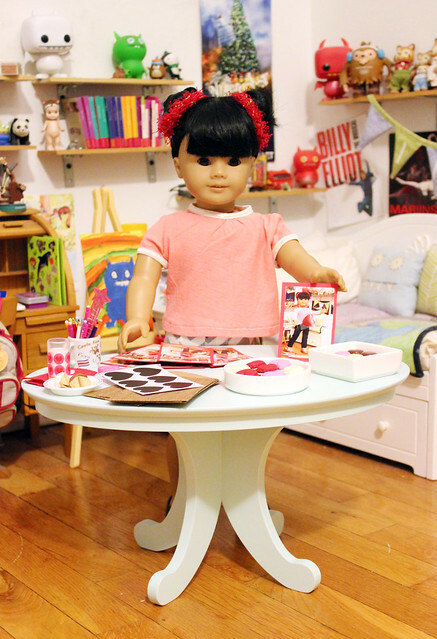 Here's my table with everything all laid out! At this point I had already made the cards, so I just needed to put them into little envelopes to keep them safe during mailing. 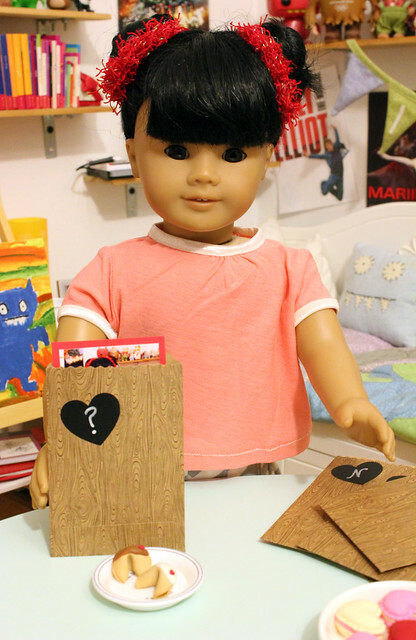 I wrote my friends' first initials on chalkboard heart stickers and then put the stickers on faux bois (false wood) patterned envelopes. See my cards? I love this idea! In the past, I've done cards with little pins, but this year I decided to use lollipops (from Ann's AG Miniatures) to make these special cards. My mama took a photo of me and then printed them out. I made two cuts in the photos so that I could slide the lollipops through. Then I attached the photo to cardstock and voila! The cards were ready! Email me at inkymarina@gmail.com with either your Instagram username, blog name, or first name and last initial. 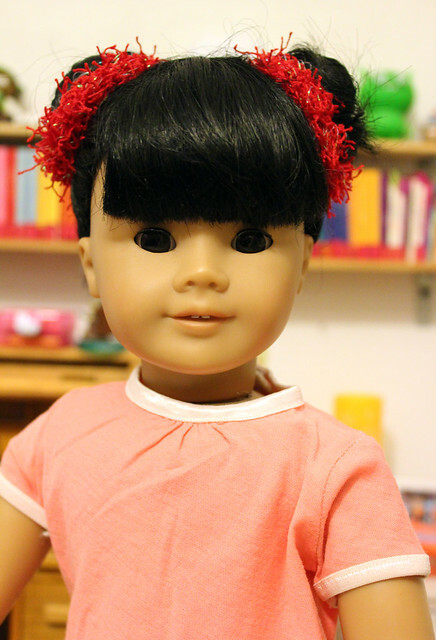 Include a photo of your doll. The theme of the photo is "Love." If you are under 18, make sure to ask for permission to enter the contest AND give me an address if you win. DO NOT give me your address unless I email you to tell you that you are the winner. 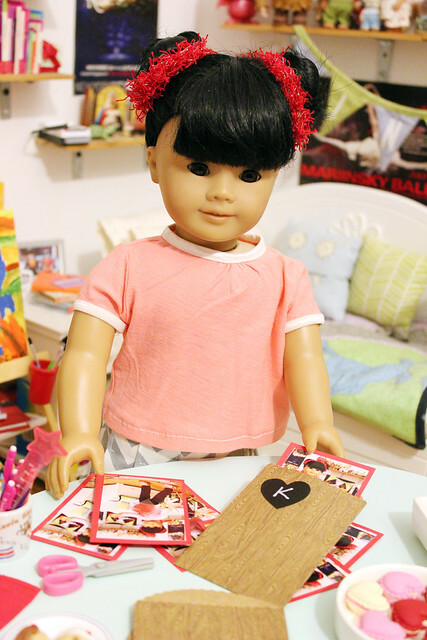 The winner will receive a lollipop photocard in an envelope as well as two "chocolate-dipped" fortune cookies for dolls. The entry period for the contest will end on Saturday, February 6 at 10pm EST. I will notify a winner on Sunday, February 7. Good luck! May the odds be ever in your favor! Please comment below with any further questions! Thanks so much for considering entering my Valentine contest! Happy early Valentine's Day! Do you need to have an Instagram or is that optional? 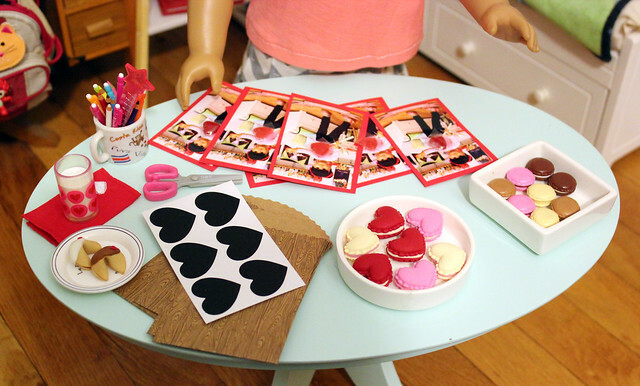 Inky, just yesterday I was at the craft store, looking at all the Valentine's Day craft supplies and thinking about what kind of valentines my students at the Bruton School might enjoy making, and I thought to myself, "I hope Inky makes Valentines again this year!" I always enjoy your creative ideas so much, and so do Elijah and Audra and all the other girls. We look forward to it every year. Thank you for sharing your creativity with us! The photos will be judged. Thanks for asking and good luck if you decide to enter!